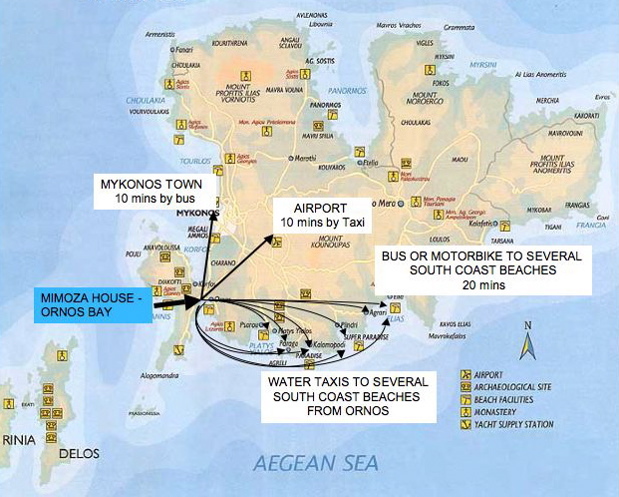 Mykonos Town = 2km by taxi / bus – the bus runs every 1/2 hour from 07.30 – 01.30. Airport = 3km which is a 10 minute taxi ride. Beach = 115m or just one minutes walk. Bus-stop & Water taxis = 200m for access to Town or other beaches.